This Father’s Day get him what he really wants. Maybe a much-deserved trip, fine leather accessories, or even a luxurious shaving set. 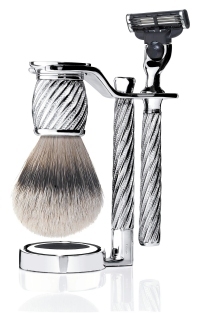 It’s time for him to shave in style with The Art of Shaving Sterling Silver Shaving Set. The razor and silver tip badger shaving brush have heavy handles for balance and comfort while shaving. Theartofshaving.com, $3400. Sure, you know Bolzano for their beautiful handbags, but they also make genuine leather belts and wallets – two accessories no man should be without. The men’s reversible belt comes in brown or black and has a brushed nickel Bolzano buckle, and the calfskin leather wallet has enough storage space to fit his everyday valuables but slim enough to slip into his pocket. Bolzanohandbags.com or 1-800-471-7020, Men’s Reversible Belt, $68; Men’s Wallet, $38. Get him something original and something new at BiddingForGood.com. This site benefits countless charities, so you’re doing something good right from the start. 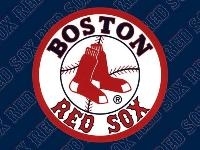 Bid on tons of great gift items for dads including plasma tv’s, iPods, Red Sox tickets, a round of golf at Trump National Golf Club with a Pro or Senior Management, or Amazon adventures for two in Iquitos, Peru. 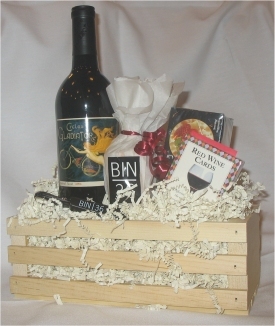 The “Real Men Drink Wine” Gift Basket from Bin 36 in Chicago is perfect for the gourmet dad. This gift basket includes a bottle of California cabernet, a big piece of cave-aged cheddar cheese, gourmet crackers, a deck of wine, trivia playing cards and a BIN 36 corkscrew. Bin36.com, $52. Get Dad’s skin in shape with the Gentleman’s Facial at Exhale Mind Body Spa. This one-hour deep cleansing facial exfoliates tired-looking skin, prevents ingrown hairs and helps alleviate irritation from shaving. His skin will feel revitalized and restored and have a fresher, healthier appearance. Lucky him, he also gets a soothing scalp, face, neck and shoulder massage. Exhalespa.com, $170. Book him a suite at Half Moon. 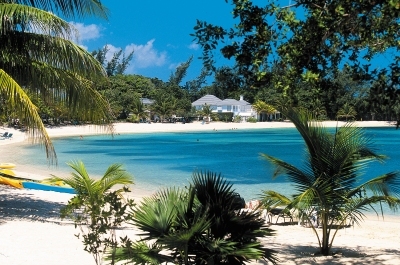 Located on 400-beachfront acres in the exclusive Rose Hall area of Montego Bay, this Guys on the Green trip includes deluxe accommodations, 5-star dining, premium drinks at hotel bars, two rounds of golf per person, a Tired Leg Golf massage per person and unlimited use of the tennis courts and fitness center. Halfmoon.com or 1.800.626.0592 for pricing information. 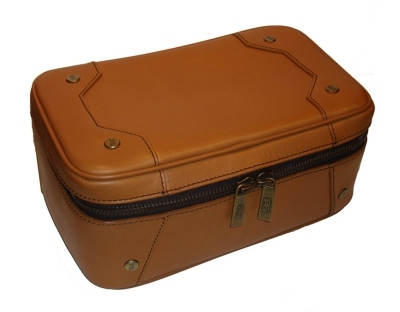 Make sure Dad travels in style with the Aaron Barak Dopp Kit. Both fashionable and functional, this leather dopp kit is perfect for packing toiletries and the woven nylon lining is water-resistant so he doesn’t have to worry about those nasty spills ruining this kit. Fred Segal, $185.